2 Step 1 List 10 Positive qualities that you see in yourself. A positive quality example: caring, gentle, loving, ambitious, etc. Note: Positive qualities are not what others think you have or say you have but what you believe that you have. 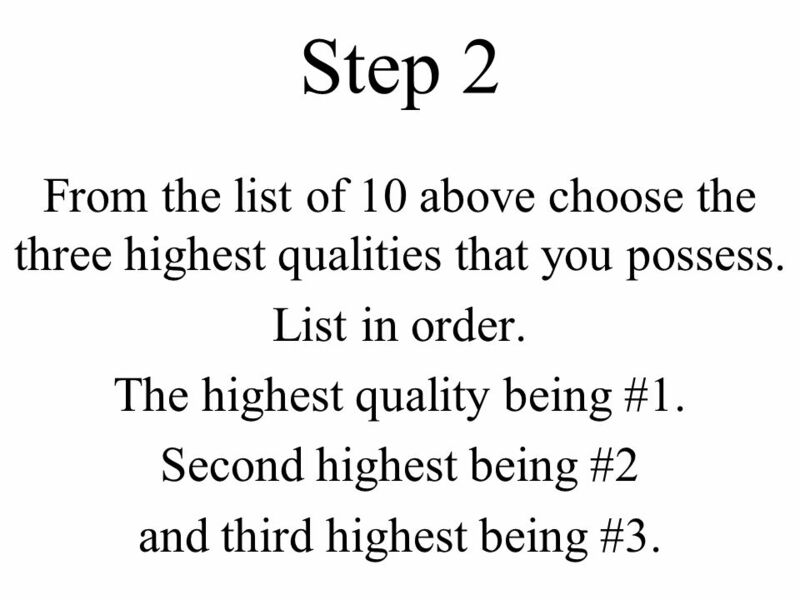 3 Step 2 From the list of 10 above choose the three highest qualities that you possess. List in order. The highest quality being #1. Second highest being #2 and third highest being #3. 4 Step 3 Ask yourself this question. What do I see that is missing in the world? Another way of posing this question is, What could the world use more of? 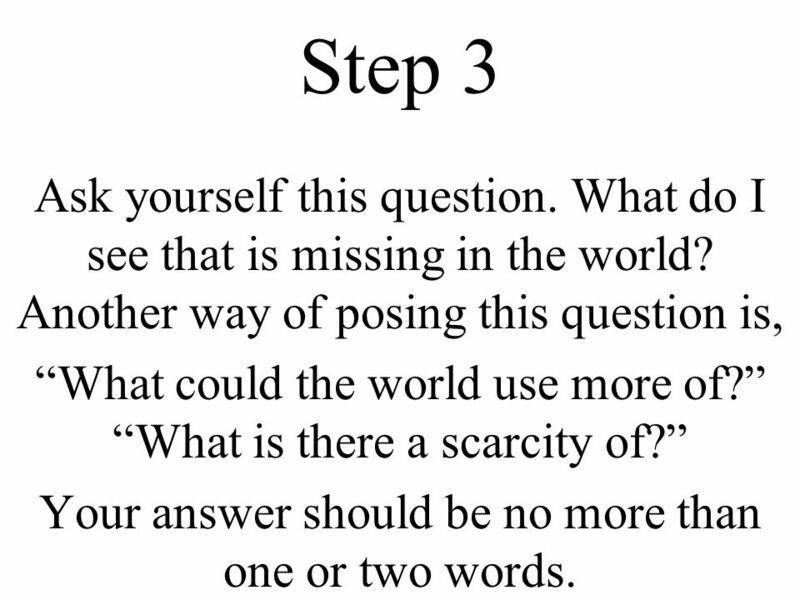 What is there a scarcity of? Your answer should be no more than one or two words. 5 Step 4 Answer this question. What brings you your greatest joy? If you answer a person, then what quality do you see in that person brings you your greatest joy. 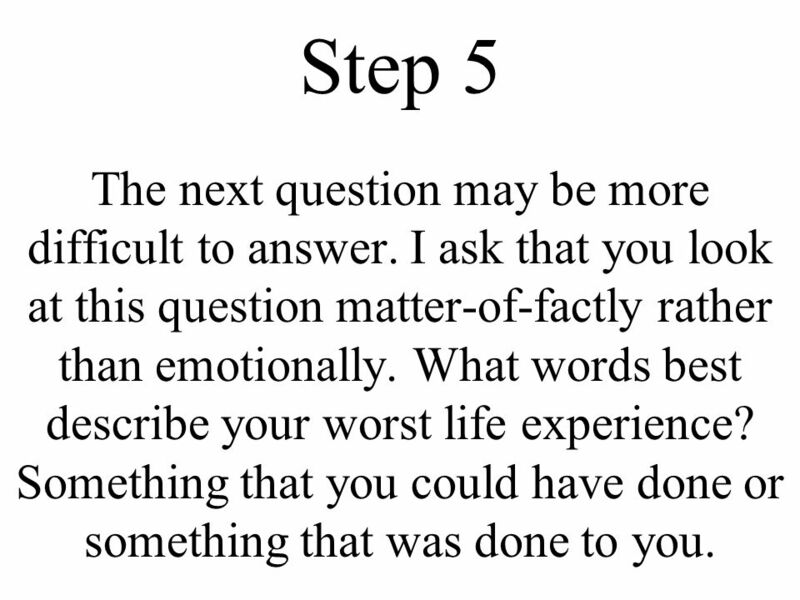 6 Step 5 The next question may be more difficult to answer. I ask that you look at this question matter-of-factly rather than emotionally. What words best describe your worst life experience? Something that you could have done or something that was done to you. 7 Step 6 Answer this question: What do I want? Make a list of all the things that you want. 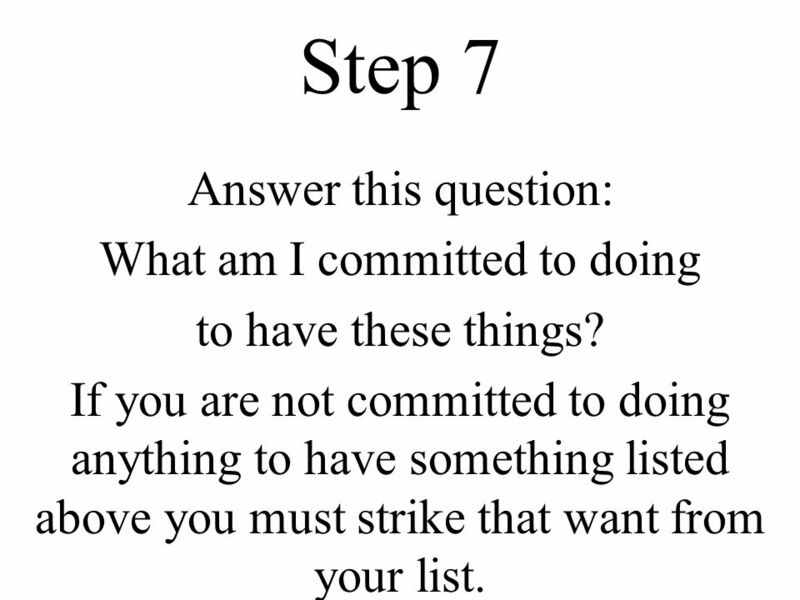 8 Step 7 Answer this question: What am I committed to doing to have these things? 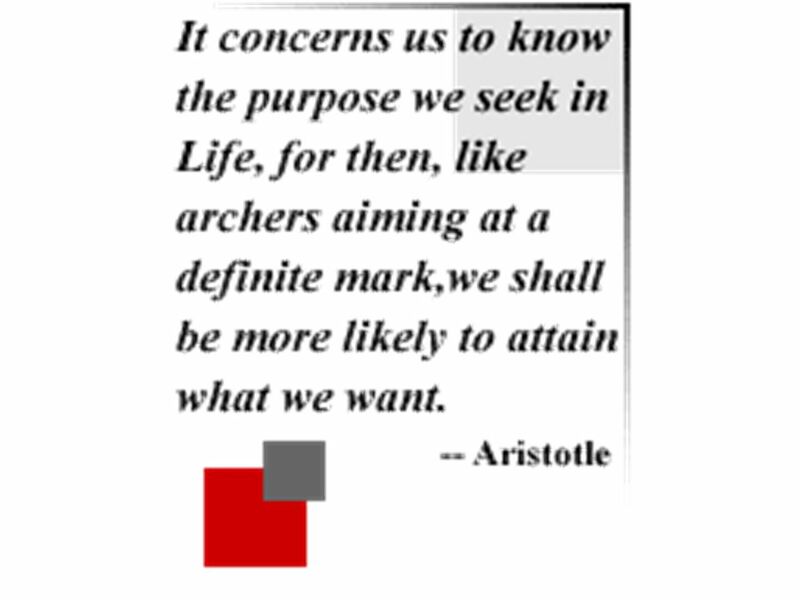 If you are not committed to doing anything to have something listed above you must strike that want from your list. 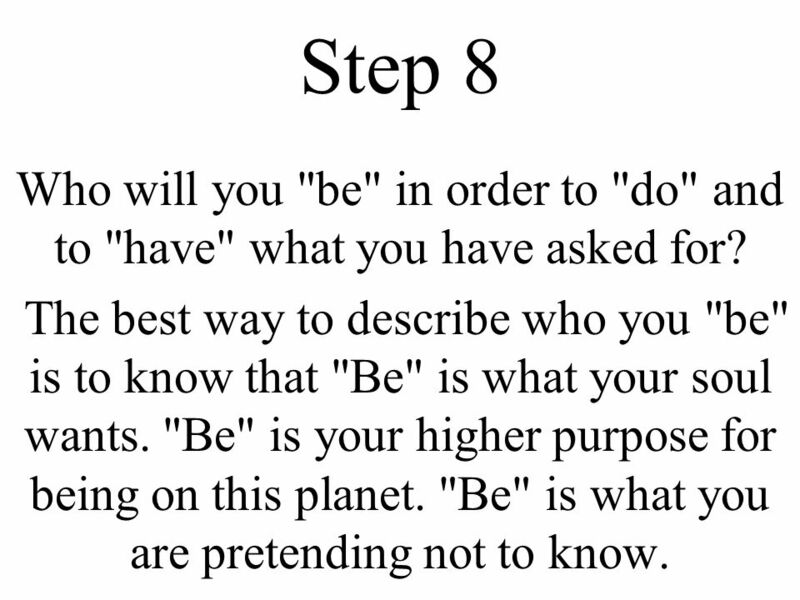 9 Step 8 Who will you "be" in order to "do" and to "have" what you have asked for? The best way to describe who you "be" is to know that "Be" is what your soul wants. "Be" is your higher purpose for being on this planet. "Be" is what you are pretending not to know. 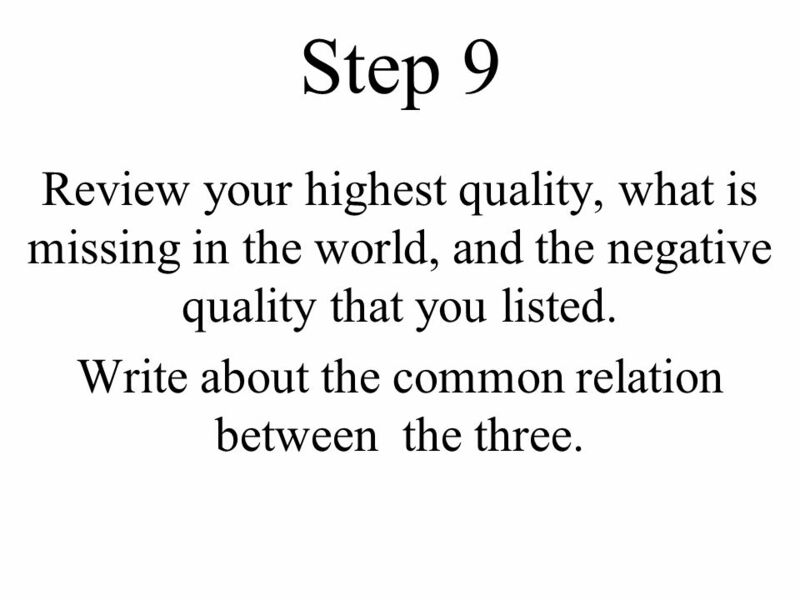 10 Step 9 Review your highest quality, what is missing in the world, and the negative quality that you listed. Write about the common relation between the three. 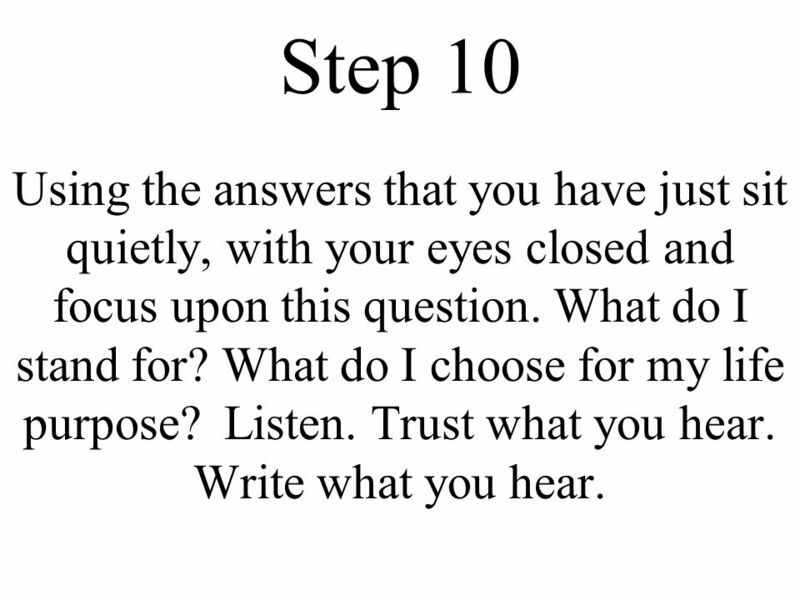 11 Step 10 Using the answers that you have just sit quietly, with your eyes closed and focus upon this question. What do I stand for? 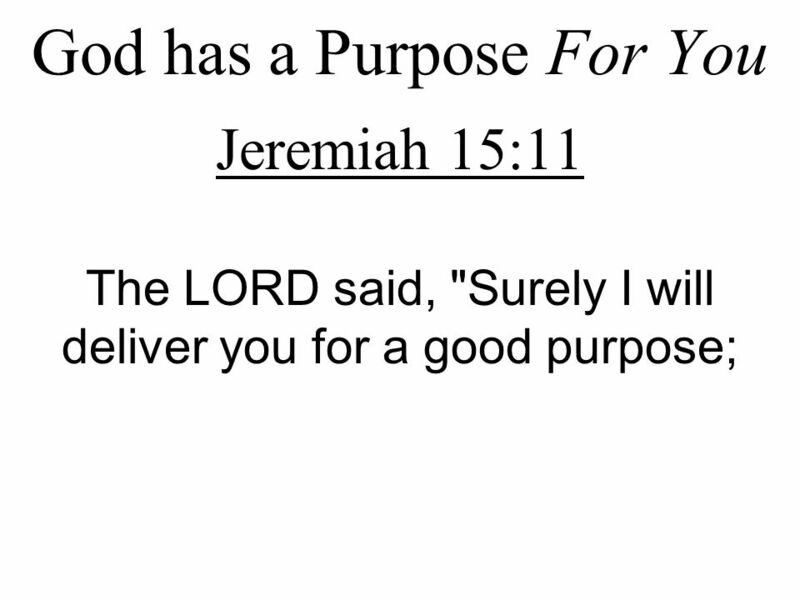 What do I choose for my life purpose? Listen. Trust what you hear. Write what you hear. 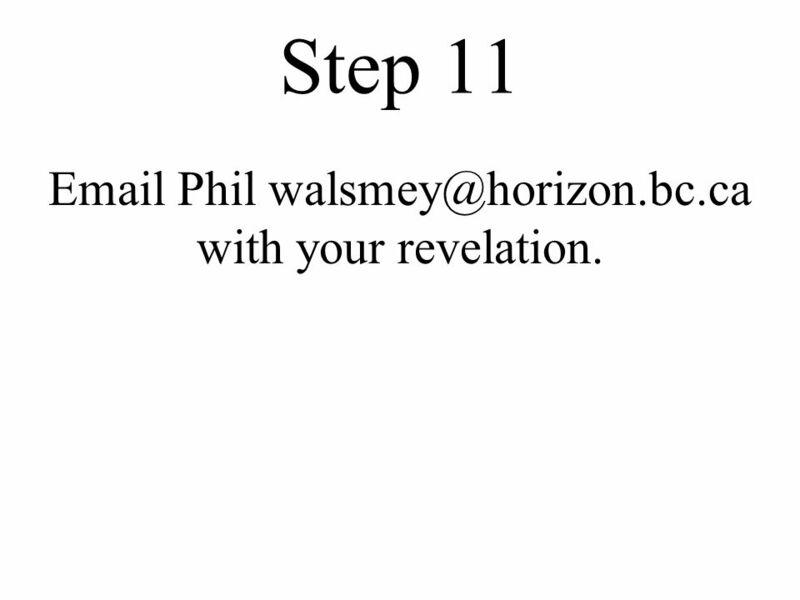 12 Step 11 Email Phil walsmey@horizon.bc.ca with your revelation. 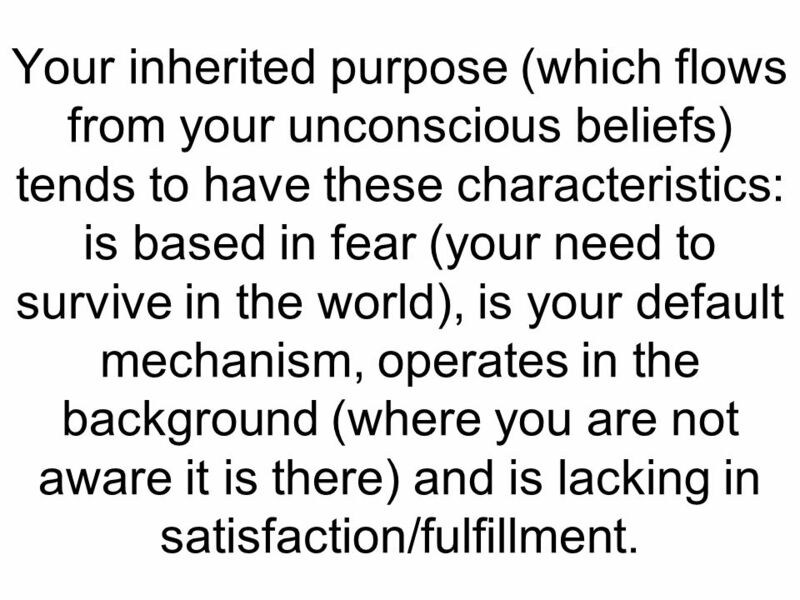 13 Your inherited purpose (which flows from your unconscious beliefs) tends to have these characteristics: is based in fear (your need to survive in the world), is your default mechanism, operates in the background (where you are not aware it is there) and is lacking in satisfaction/fulfillment. 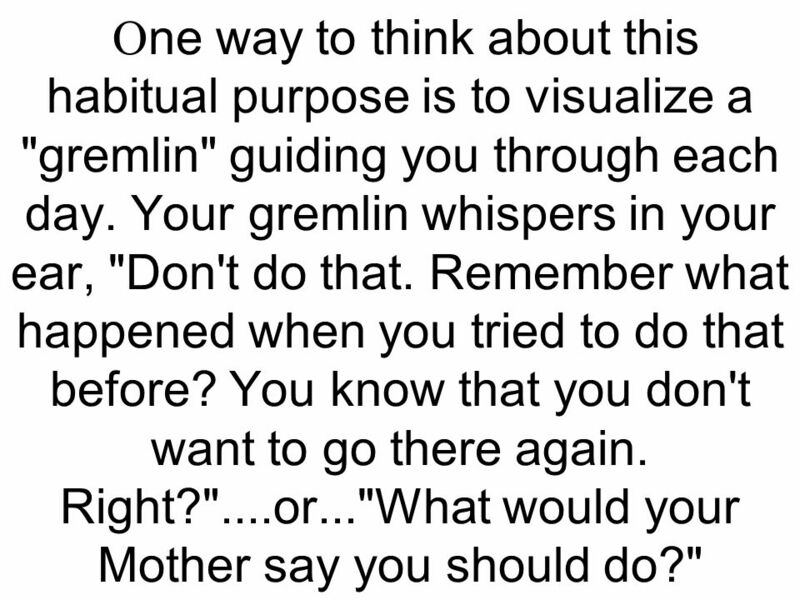 14 O ne way to think about this habitual purpose is to visualize a "gremlin" guiding you through each day. 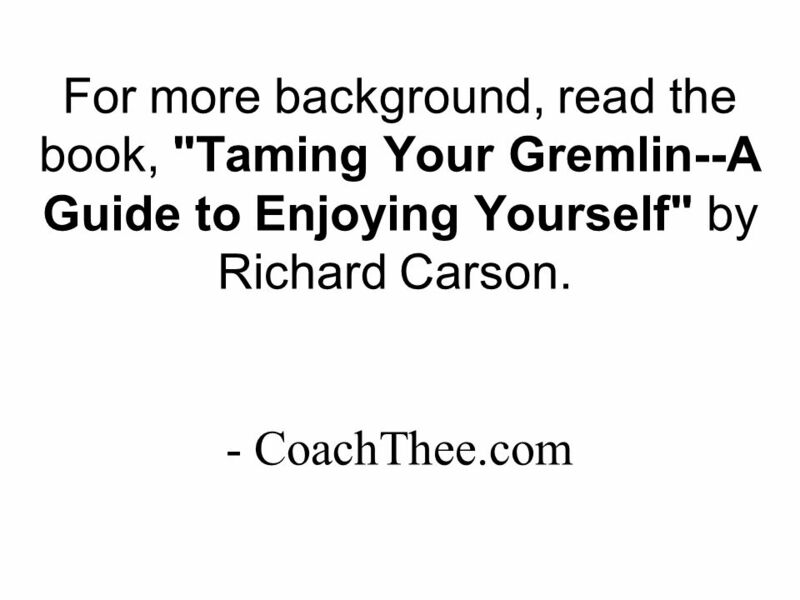 Your gremlin whispers in your ear, "Don't do that. Remember what happened when you tried to do that before? You know that you don't want to go there again. Right?"....or... "What would your Mother say you should do?" 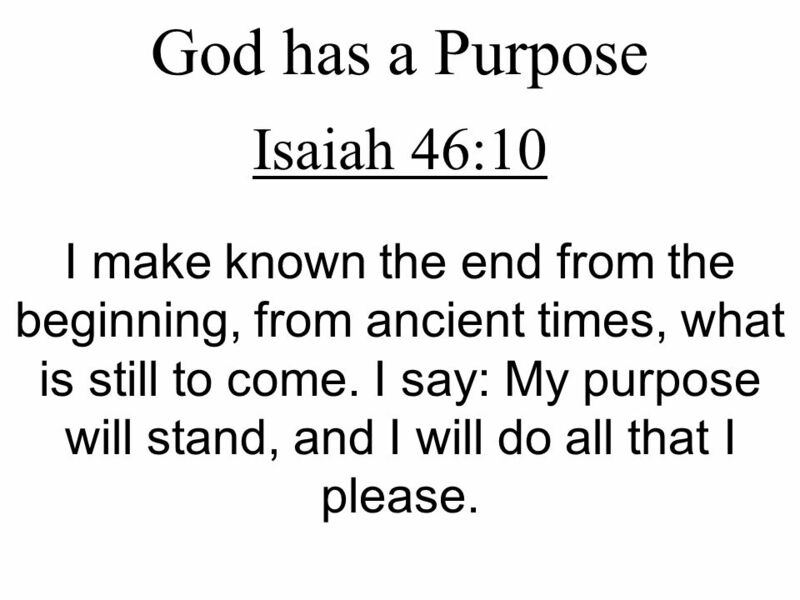 18 God has a Purpose Isaiah 46:10 I make known the end from the beginning, from ancient times, what is still to come. I say: My purpose will stand, and I will do all that I please. 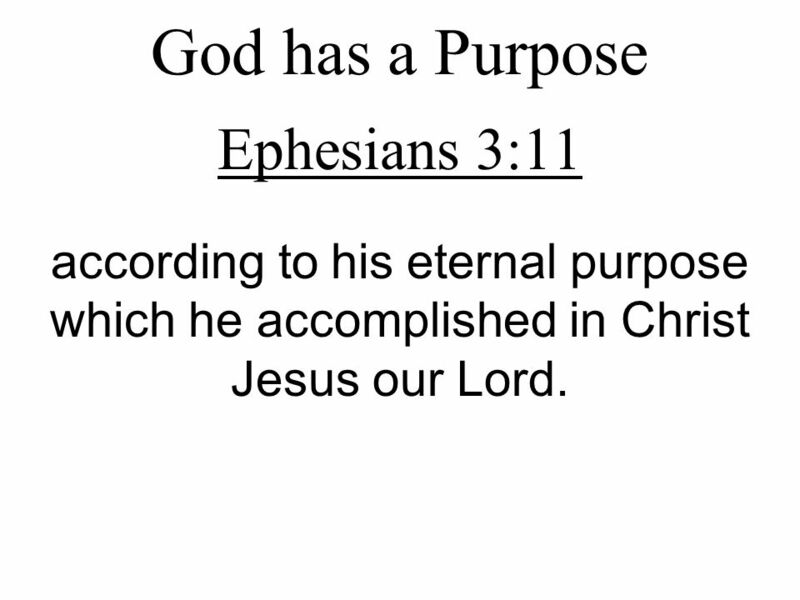 19 God has a Purpose Ephesians 3:11 according to his eternal purpose which he accomplished in Christ Jesus our Lord. 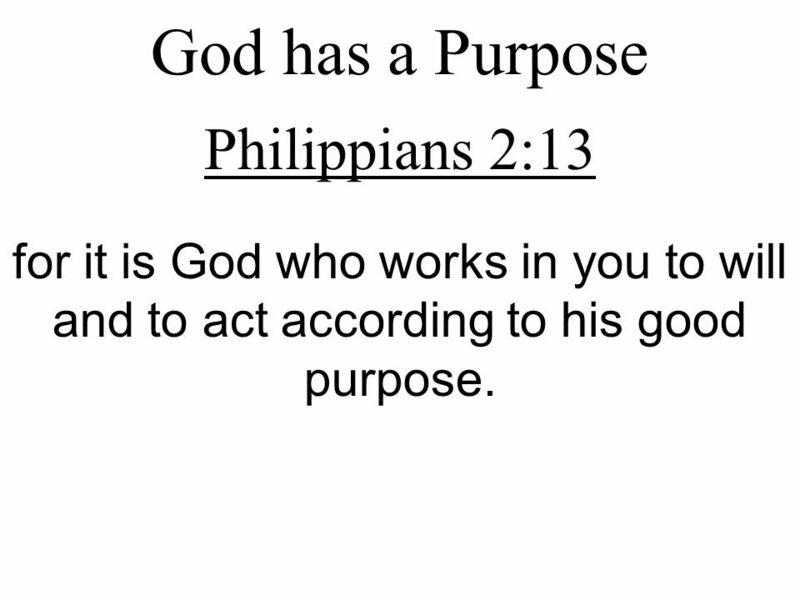 20 God has a Purpose Philippians 2:13 for it is God who works in you to will and to act according to his good purpose. 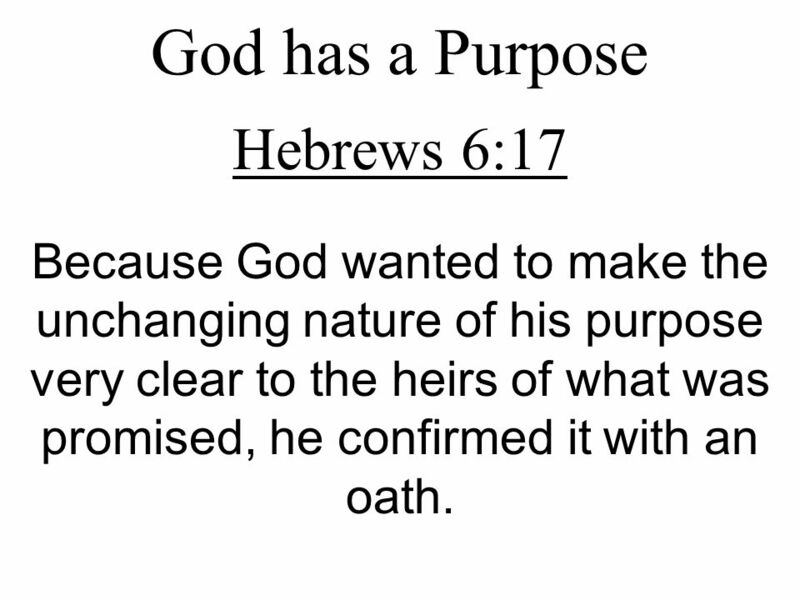 21 God has a Purpose Hebrews 6:17 Because God wanted to make the unchanging nature of his purpose very clear to the heirs of what was promised, he confirmed it with an oath. 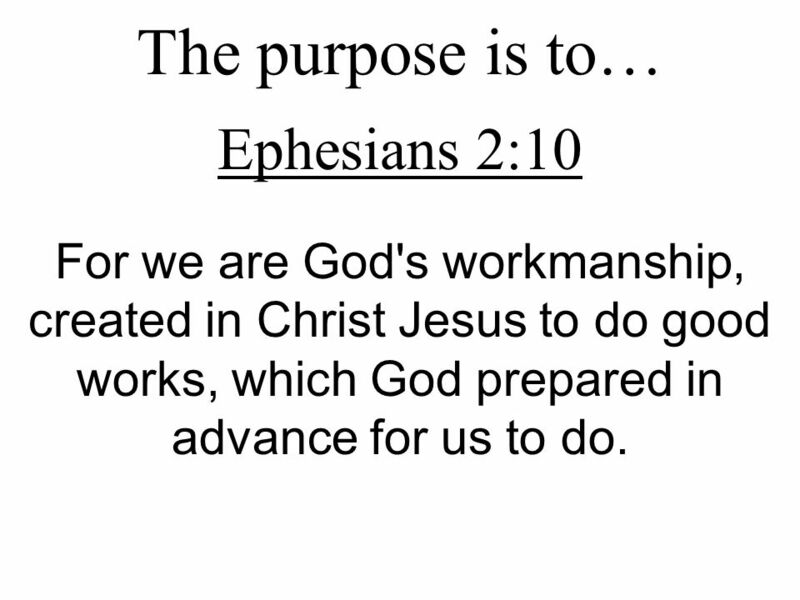 23 The purpose is to… Ephesians 2:10 For we are God's workmanship, created in Christ Jesus to do good works, which God prepared in advance for us to do. 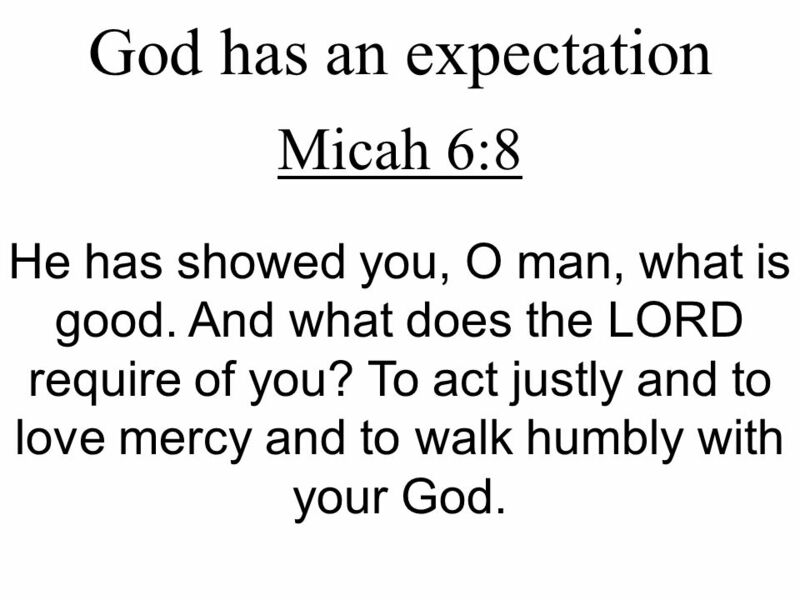 25 God has an expectation Micah 6:8 He has showed you, O man, what is good. And what does the LORD require of you? To act justly and to love mercy and to walk humbly with your God. 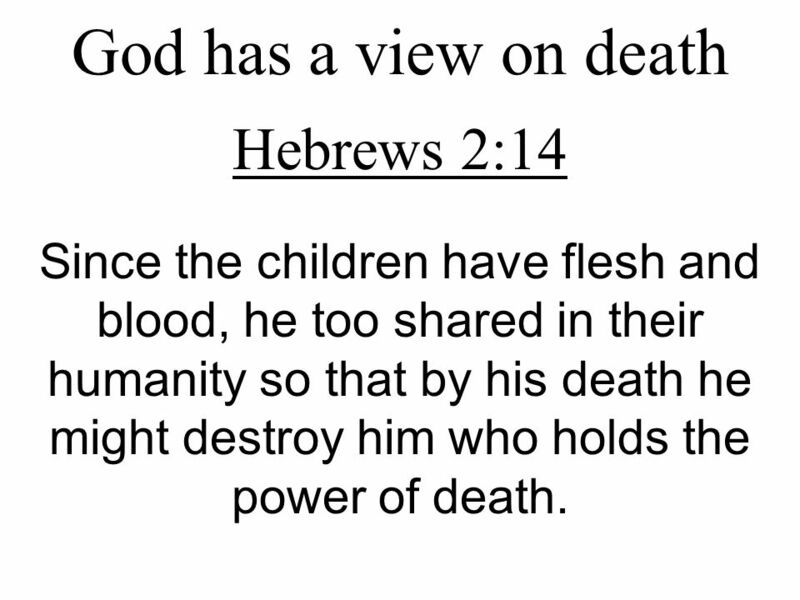 27 God has a view on death Hebrews 2:14 Since the children have flesh and blood, he too shared in their humanity so that by his death he might destroy him who holds the power of death. 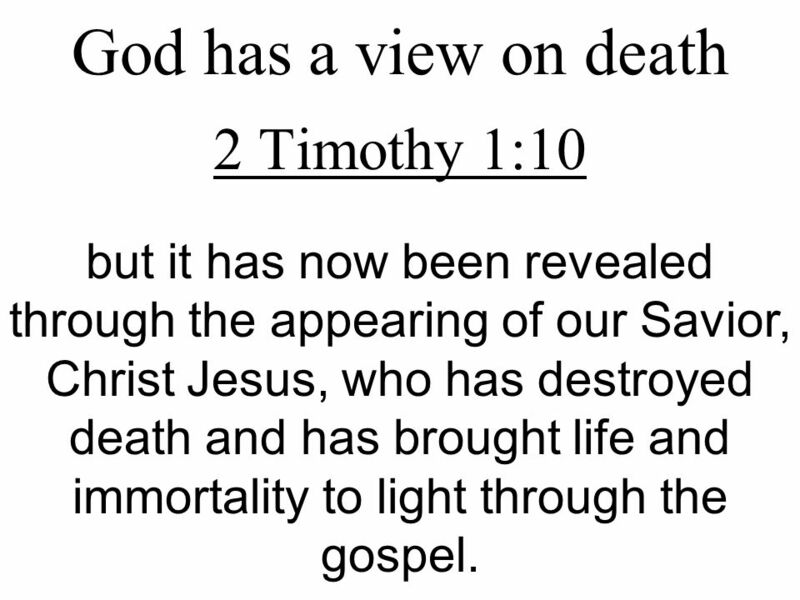 28 God has a view on death 2 Timothy 1:10 but it has now been revealed through the appearing of our Savior, Christ Jesus, who has destroyed death and has brought life and immortality to light through the gospel. 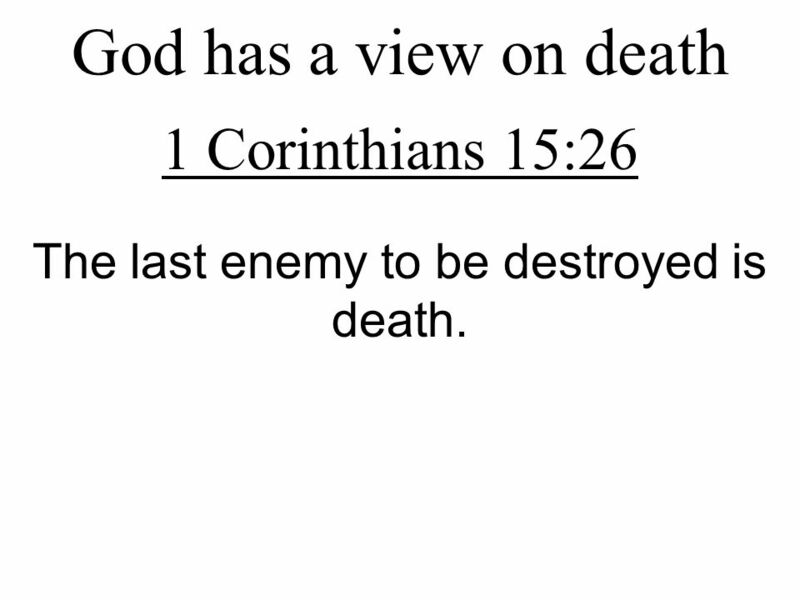 29 God has a view on death 1 Corinthians 15:26 The last enemy to be destroyed is death. 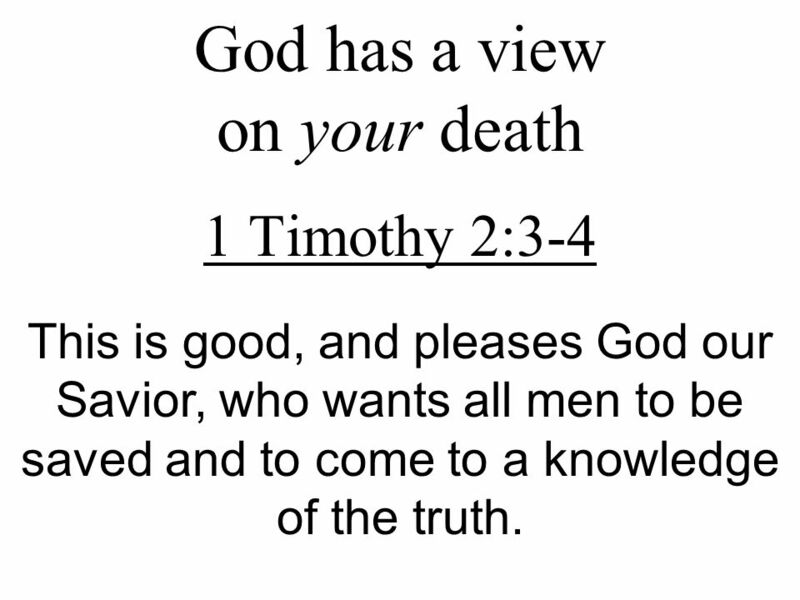 30 God has a view on your death 1 Timothy 2:3-4 This is good, and pleases God our Savior, who wants all men to be saved and to come to a knowledge of the truth. 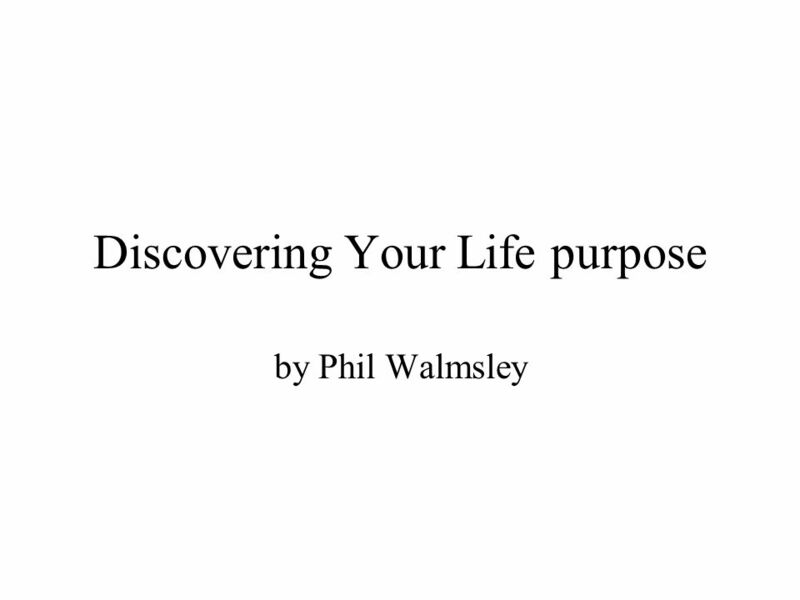 Download ppt "Discovering Your Life purpose by Phil Walmsley. 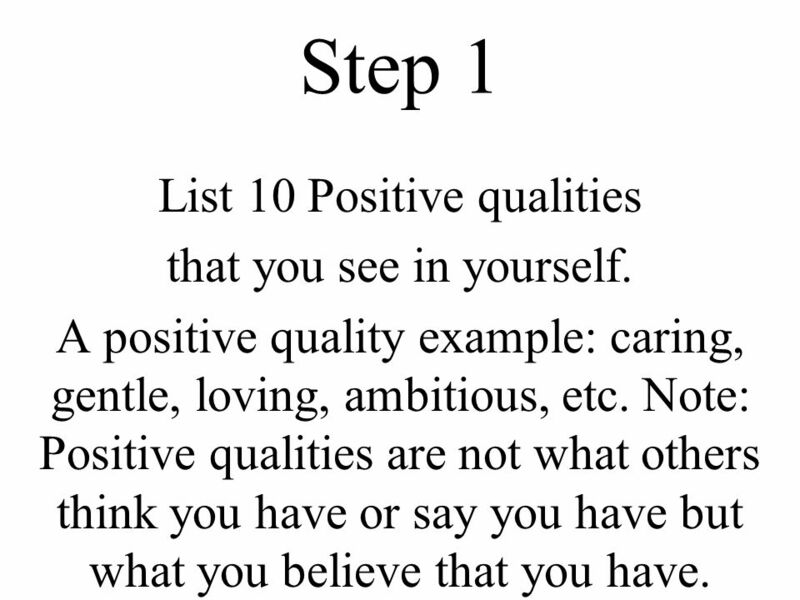 Step 1 List 10 Positive qualities that you see in yourself. A positive quality example: caring, gentle,"
4G - Ephesians 2:8-10 Lem Usita Ed.D..
John 10: I tell you the truth, the man who does not enter the sheep pen by the gate, but climbs in by some other way, is a thief and a robber. 2. Please, don't let it happens to you!